PALM BEACH COUNTY, Fla. — A caretaker is facing fraud charges after being accused of stealing from her elderly patient in suburban Boca Raton. Denequa Meeks-Mcroy, 26, is charged with seven counts of fraud and one charge of exploiting the elderly. According to the arrest report, this case stems from an investigation that began in mid-January. PBSO deputies responded to a home west of Boca Raton on a call of a computer theft. The victim told PBSO that he was visiting his 96-year old father and unloaded his personal belongings inside the home, including a laptop bag, according to the report. The next day, the son noticed his laptop was stolen from the home. His elderly father also noticed his wallet was missing. Several fraudulent transactions at gas stations, Walmart and other stores were made on credit cards that were in the wallet. According to the arrest report, deputies were able to obtain surveillance video in Walmart and CVS in West Palm Beach and Boca Raton that showed Meeks-Mcroy using the credit cards. She was seen wearing her clinical scrubs in the videos, the report states. The report said that deputies met with Carin People, Inc., the agency that provides health care assistance for the victim. The agency confirmed that Meeks-Mcroy was employed by them and assigned to care for the victim at the time of the crime. A manager confirmed her identity in the surveillance videos. 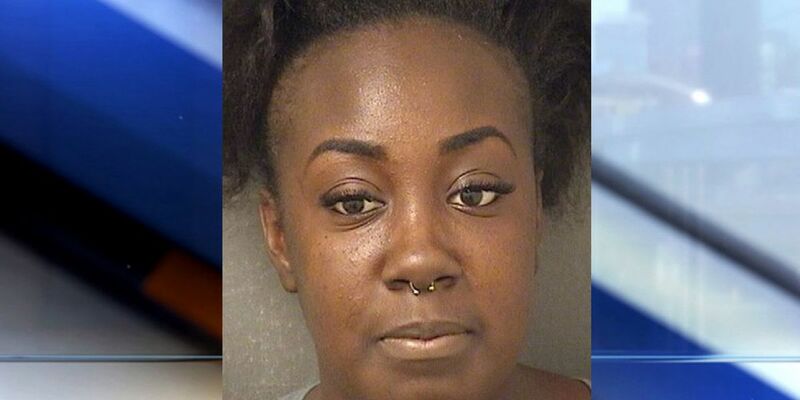 Meeks, who lives in suburban West Palm Beach, was in court for her first appearance Tuesday morning. Her bond has been set at $21,000.